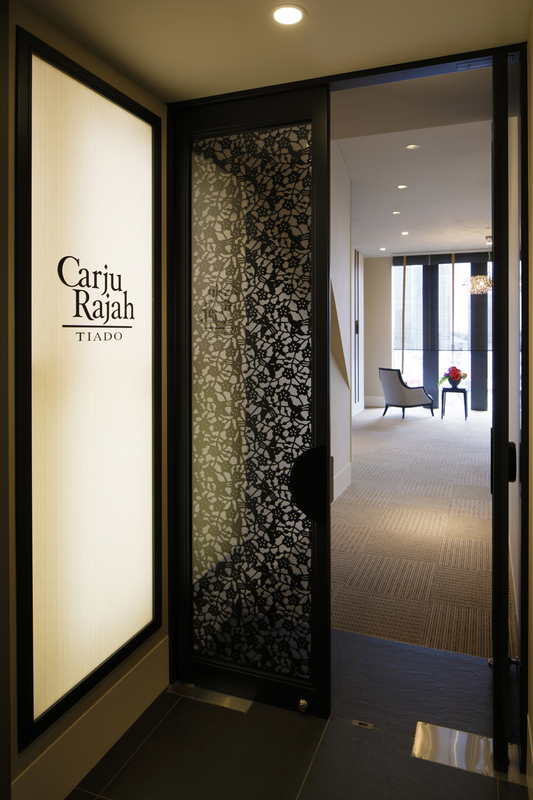 Every beauty enthusiast needs to put Tokyo on their travel list for 2019 if day spa Carju Rajah Tiado is anything to go by. Sitting in one of the quiet, partitioned pods on the 14th floor of the Capitol Hotel Tokyu, sipping on a Japanese green tea overlooking the vast Tokyo landscape, is a true zen experience. With the hotel nestled between the Japanese Prime Minister’s official residence and the impressive 500-year-old Hie Shrine, the view is a mix of ancient architecture, modern masterpieces and futuristic fantasy where old and new collide. The scenery can be enjoyed either pre- or post-treatment when you visit the hotel’s day spa, Carju Rajah Tiado. Like traditional Japanese culture, the spa incorporates a celebration of nature, architecture and incredible attention to detail. 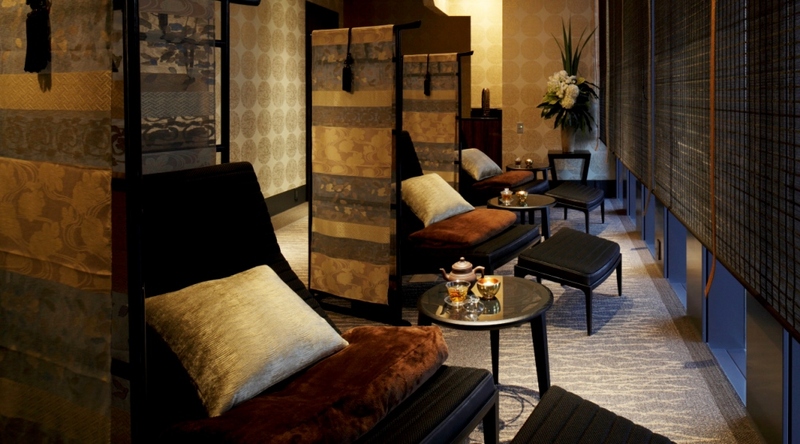 Spa manager Yukie Machida said the emphasis was on “tranquility and luxury” throughout. “Everything, including our treatment methods, interior, sound, aroma, and drinks are carefully selected in order for the guests to really relax and to liberate their five senses,” she said. Guests can enjoy some quiet time pre- or post-treatment. The salon is furnished in a ‘Japonism style’ (Westernised Japanese taste) according to Yukie, which reflects the theme of the guest rooms at the hotel that incorporate traditional Japanese elements including sliding doors and partitioning shoji paper screens. Yukie said clients that visited the spa were offered a complete holistic and clinical experience. “The time our guests spend at the spa is invaluable for obtaining true beauty and health,” she said. The spa treatment menu offers a range of body treatments, facials, signature packages and men’s treatments. There is a barber room that performs men’s haircuts as well as shaving for both men and women. Body treatments include a range of massages and scrubs using Japanese essential oils to adjust a person’s qi (vital energy), while facials include an anti-ageing retinol facial, an anti-stress option and a premium whitening facial. 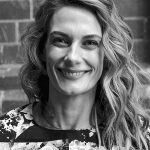 “Our aim is to give our clients beautiful skin, no matter what their age, to help improve both their confidence and happiness,” Yukie explained. A standout feature of the spa is the private salt bath and sauna. 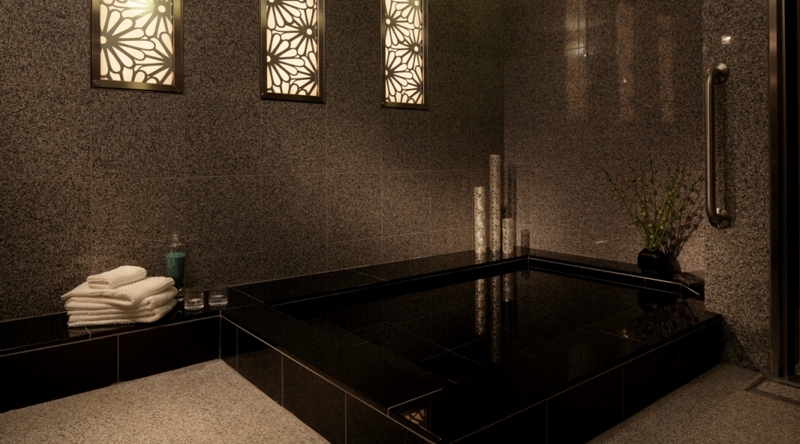 Clients can unwind before their treatment has even begun by taking a soak in the onsen, surrounded by candles. 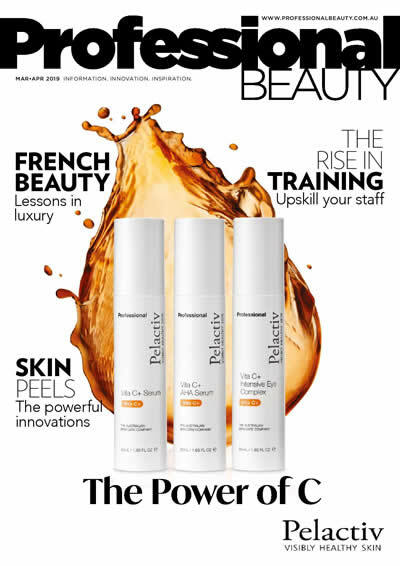 “This spa helps to augment the effect of the treatment,” Yukie explained. “The blood circulation and metabolism can be promoted by bathing in a salt bath, together with a combination of low-temperature mist sauna, around 55 -60 degrees Celsius, which is full of negative ions,” Yukie explained. Yukie said the spa usually attracted executive guests because of the location of the hotel. “There are so many offices around the hotel, including the Houses of Parliament and political institutions, so a lot of VIPs often come to the spa and barber,” Yukie said. There are various private make-up rooms, fully stocked with a range of skincare, cosmetics and toiletries that guests can use post-treatment to do any touch-ups required if they are heading back to work or straight out. “We are committed to pursuing the essence of beauty and promise the ultimate level of hospitality and healing,” Yukie said. A visit to Carju Rajah Tiado promises not only a blissful day of pampering but a real ‘omotenashi’ experience (respectful Japanese hospitality) unlike any other. The hotel’s main lobby was designed by renowned architect Kengo Kuma, who is also responsible for the new Olympic stadium. It features three restaurants, a bar, pastry boutique, five banquet rooms, fitness facilities and a 20-metre indoor swimming pool and spa. It was originally opened as Tokyo Hotel Hilton. You can experience a geisha hosted dinner at the hotel, as well as a traditional tea ceremony. Guests can partake in a scared Shinto ritual in the neighbouring Hie Shrine. The hotel has direct access to the Tokyo Metro.